HONG KONG - FEBRUARY 18, 2015: Baggage carousel at arrival airport hall, moving suitcases on the transporter tape. Hong Kong international Airport. Static camera, shoot from tripod. hd00:16AMSTERDAM - JAN 31: Amsterdam Airport Schiphol on January 31, 2013 in Amsterdam, Netherlands. One of the biggest European airports, Schiphol was open on September 16, 1916. 4k00:34HONG KONG - FEBRUARY 18, 2015: Unidentified passengers claim baggage at arrival, transporter move suitcases. Static camera on tripod. Chinese couple take white plastic bag on trolley and walk away. 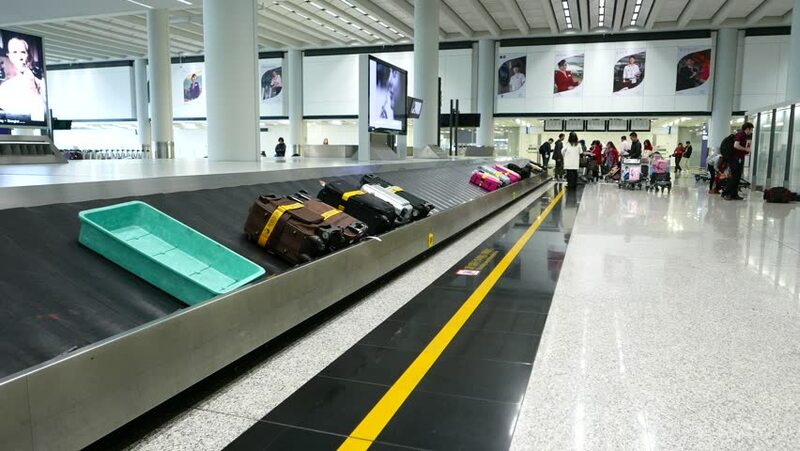 4k00:21HONG KONG - FEBRUARY 18, 2015: Baggage carousel, man quickly take small backpack from conveyor tape. Static camera, shoot using tripod. International aeroport arrival and luggage claim hall. 4k00:10Hong Kong, China - Apr 3, 2017: Inside of Luggage Claim Hall at the airport in Hong Kong, China.